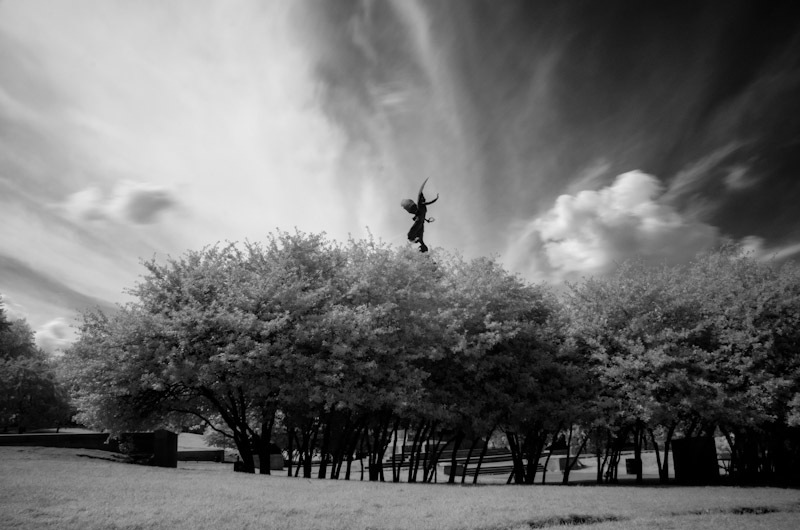 I decided the other day to purchase a Hoya R72 Infrared filter to try my hand at infrared photography. 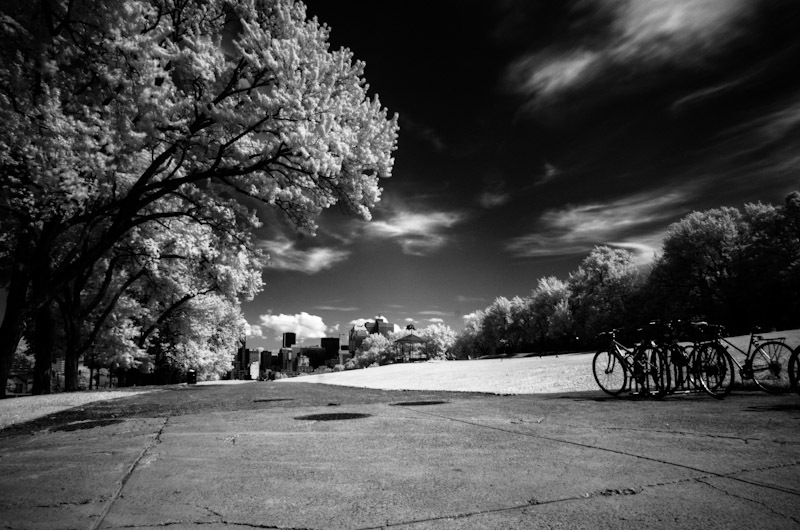 I’ve seen many great IR images on the web over the years but never got round to trying it due to not having a filter. 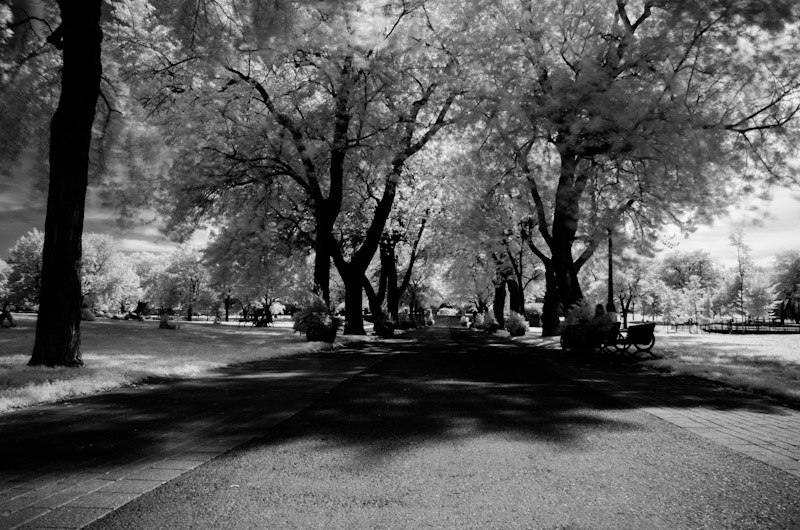 A fellow blogger called Steve pointed me in the direction of the Hoya R72 filter after I saw some of his great IR images over on his blog Ellis Pictures. 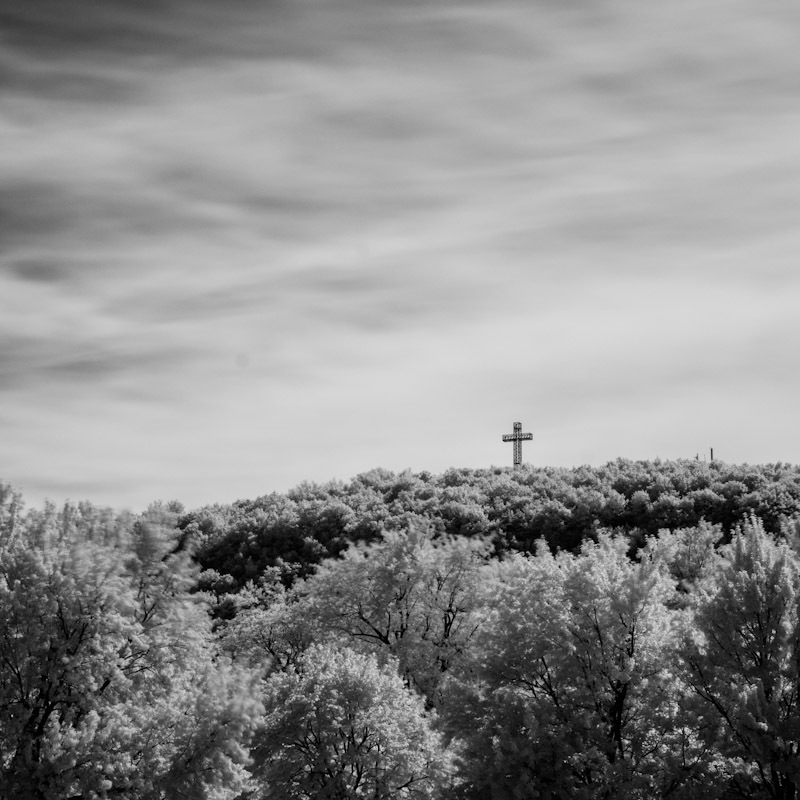 When my old D40X packed up on me a month or so back, I had considered getting it converted to take Infrared, but since the shutter mechanism was probably needing to be replaced, the cost would have worked out to be more than buying a used (and maybe already converted) replacement. The filter route seemed like the affordable solution. 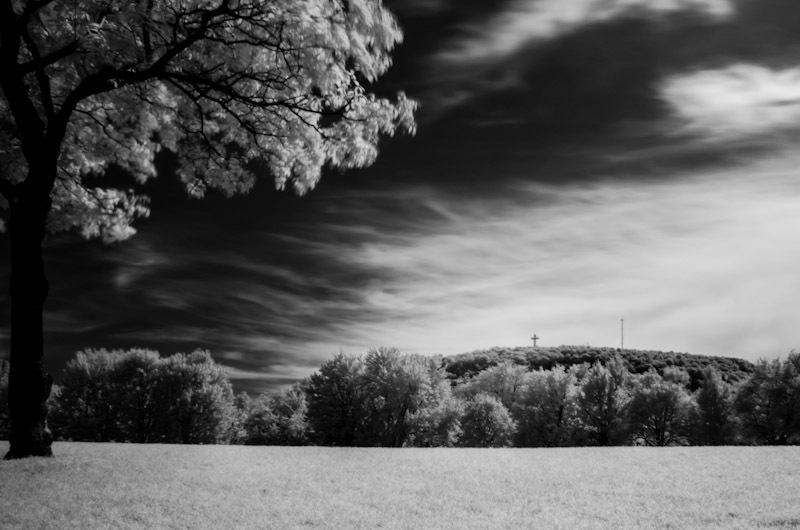 One downside to doing infrared with a filter is that you need pretty long exposure times and the fact you need to remove the filter to focus each shot. 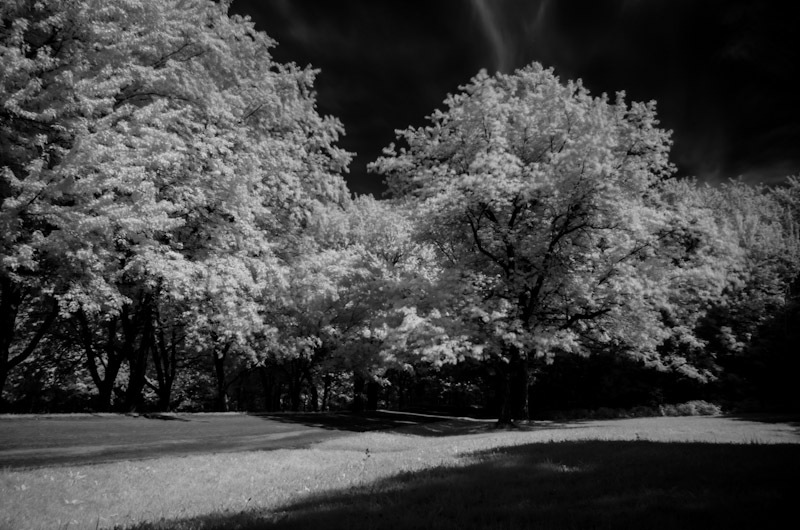 Despite these drawbacks, I can think of quite a few subjects and locations I want to experiment with infrared, so hope to get quite a bit of use out of my new accessory. 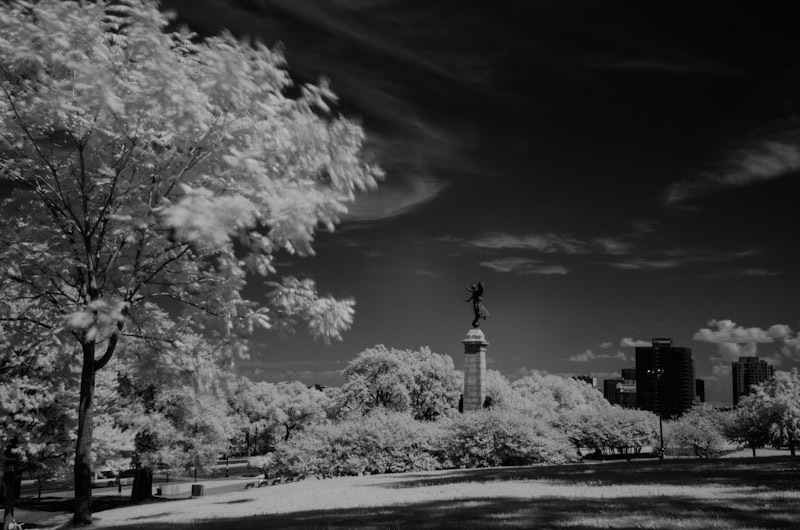 For today’s initial trial, I headed up avenue du Parc to the George-Étienne Cartier monument and over to Parc Jeanne-Mance. I only took my 18-105mm lens and found that unfortunately this lens produces hot spots. 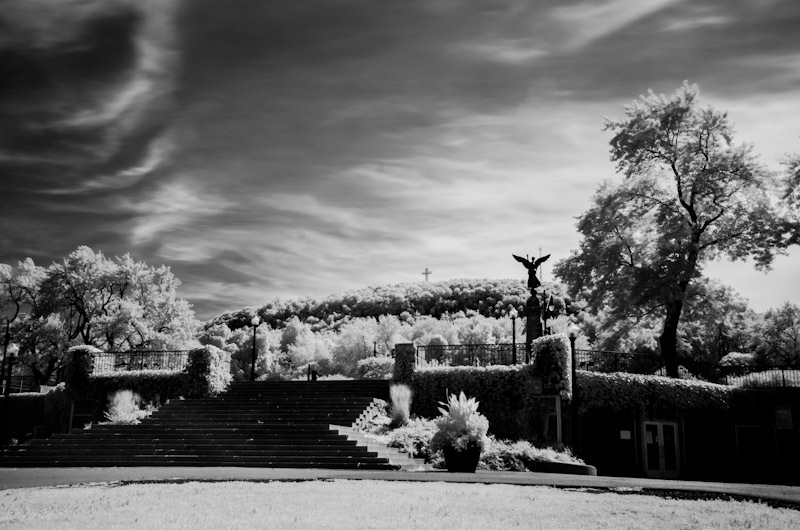 I couldn’t find anyway to remove the patch of color that resulted and so decided to process all the images in monochrome where the hot spot was less obvious. Another issue is that not having Photoshop, color channel switching is not straightforward. I have though found a plug-in by SimpelFilter for Elements which will hopefully do the job. 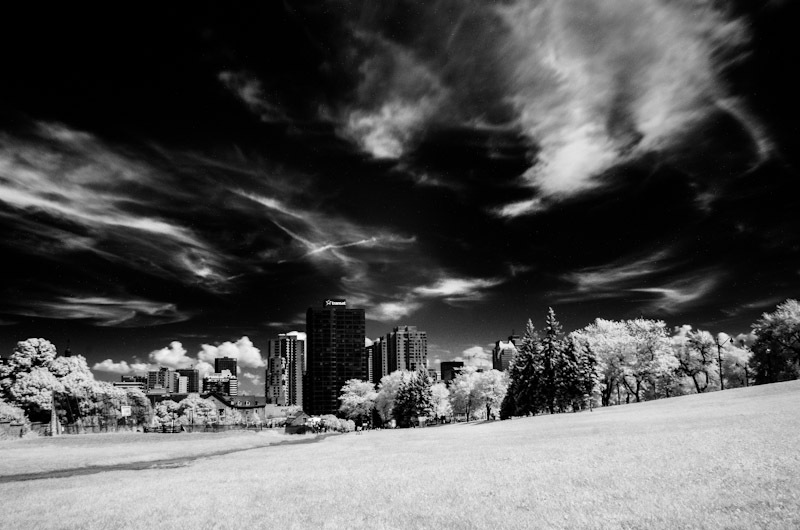 Anyway, here are some of my initial attempts at Infrared photography. 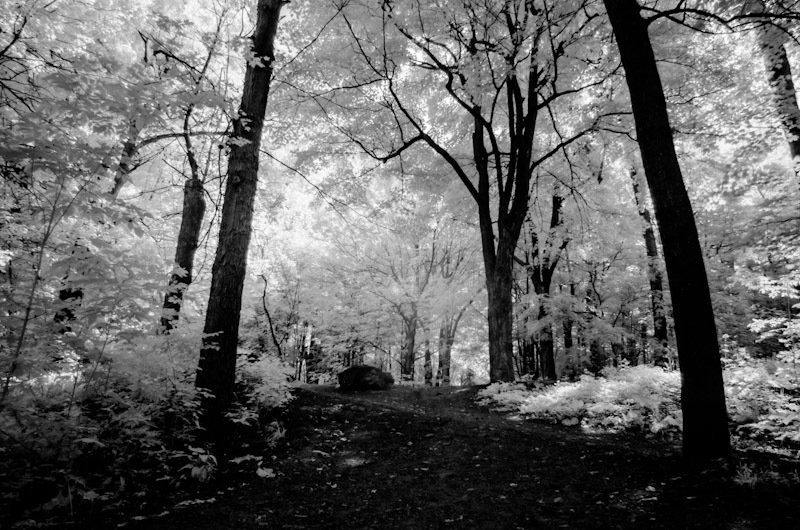 The only problem doing infrared is the fact it makes it look like it was taken on a snowy day – and I really don’t need to be looking at or thinking of snow just yet !!! Wow! I’m not a photographer but have really enjoyed your website. These pictures are particularly appealing. The last one is my favorite and pulls at my imagination. I can feel a story in there…like there is something to know about that world, perhaps a mystery.